Snow photo effect online. Winter signboard photo frame. In the middle of a snowball fight! Do you like snow fighting? 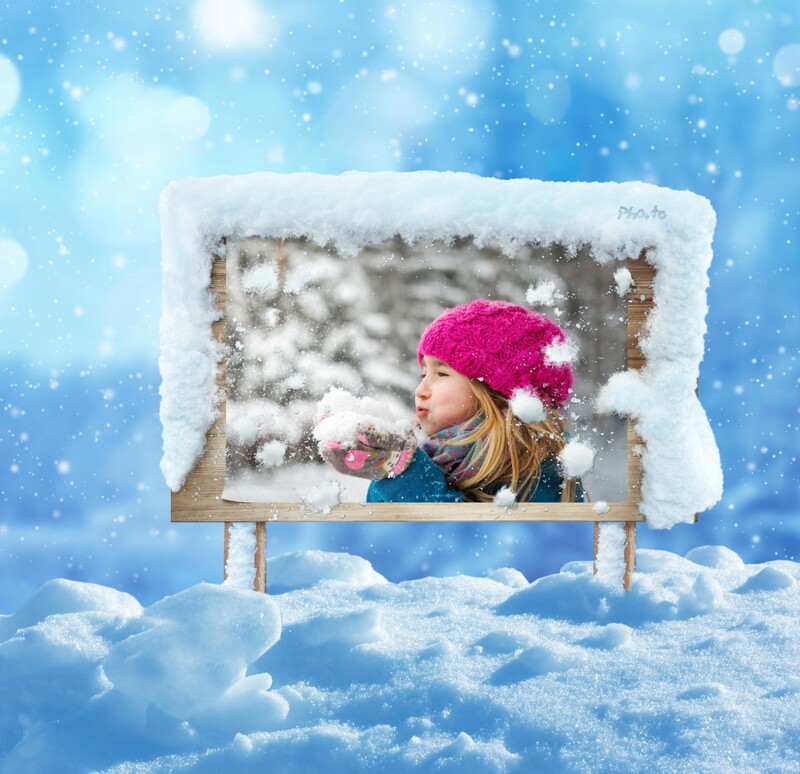 If you do, you're gonna love this winter fun photo frame! 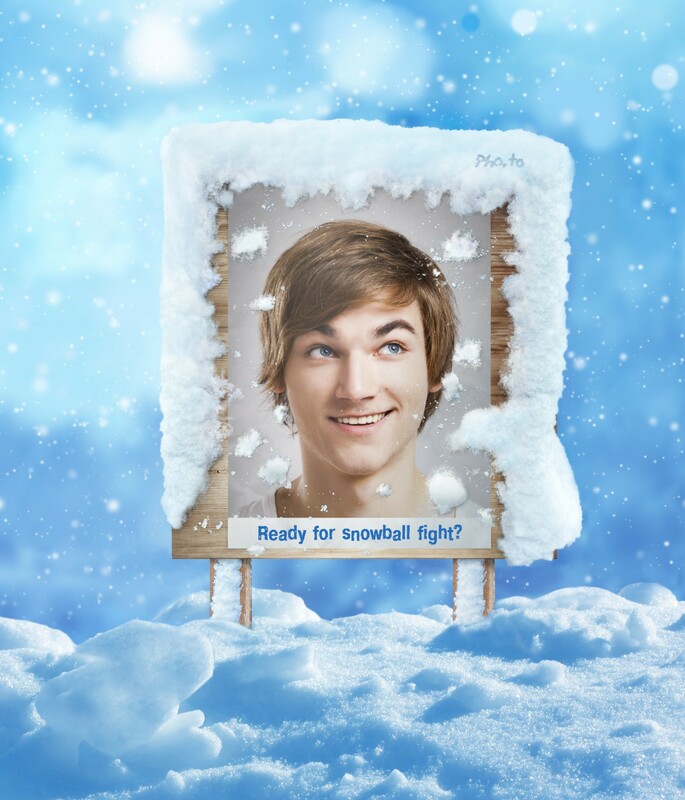 Just upload a photo – and it’ll be placed on a wooden signboard, covered with snowballs as if after snow fight and surrounded with beautiful falling snow.